Accountants and bookkeepers often ask me what they should do first to familiarize themselves with their clients’ QuickBooks® Online accounts. Rest assured, it’s not as daunting as it may seem. Here are my 10 key steps to getting comfortable with QuickBooks Online. Unlike traditional desktop software, QuickBooks Online is accessible across multiple devices and operating systems, much like an app you’d use on a smartphone or tablet. If you’re accustomed to desktop software, the cloud-based layout can take a little getting used to. Let’s walk through it piece by piece. 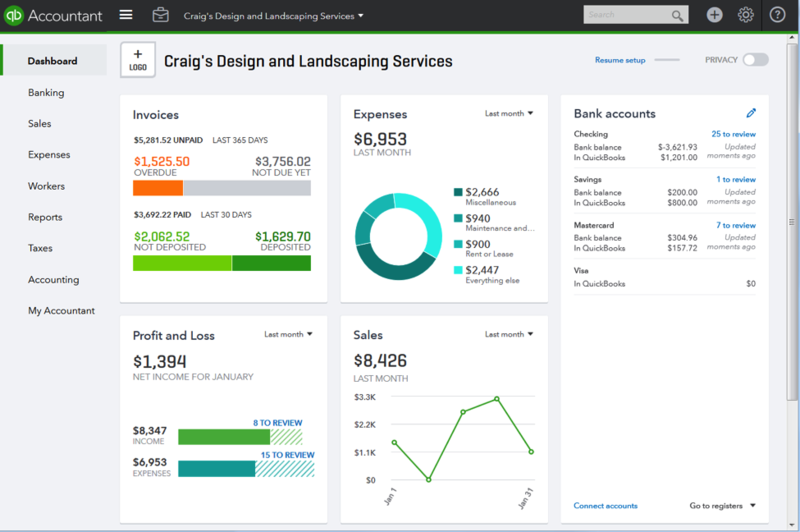 Dashboard: When you open a client’s company, the home page will show you an interactive overview of their Invoices, Sales, Expenses, Profit and Loss, and Bank Accounts. 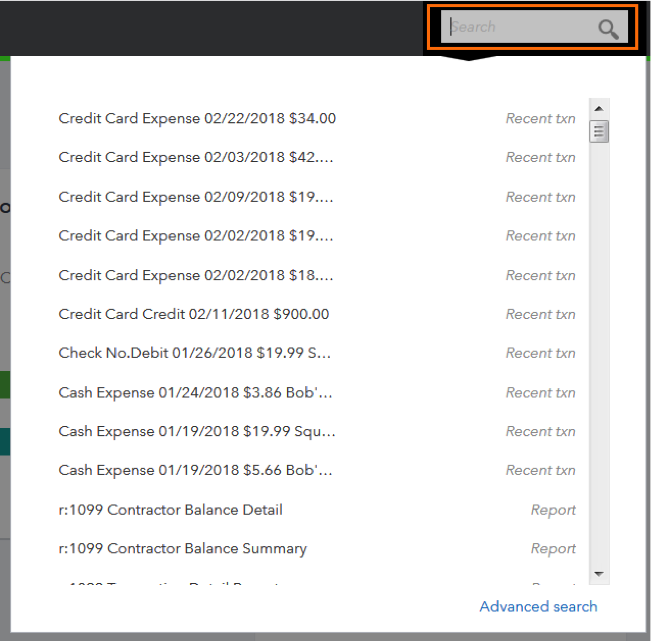 Left navigation: In this panel you’ll find the various tabs you need for working in your clients’ QuickBooks, broken up by category. When you click on a tab, smaller subcategories will appear along the top. For example, by clicking the Sales tab, you can access these subcategories: All Sales, Invoices, Customers and Products and Services. 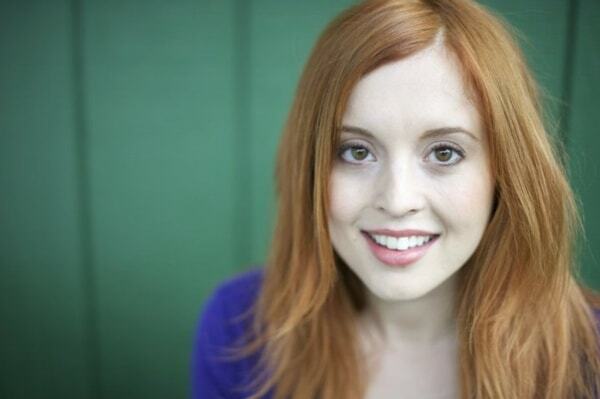 Note: Use the Hamburger icon (yes, that’s the real name, even outside of QuickBooks!) to collapse and expand the left navigation to give yourself more space to work. 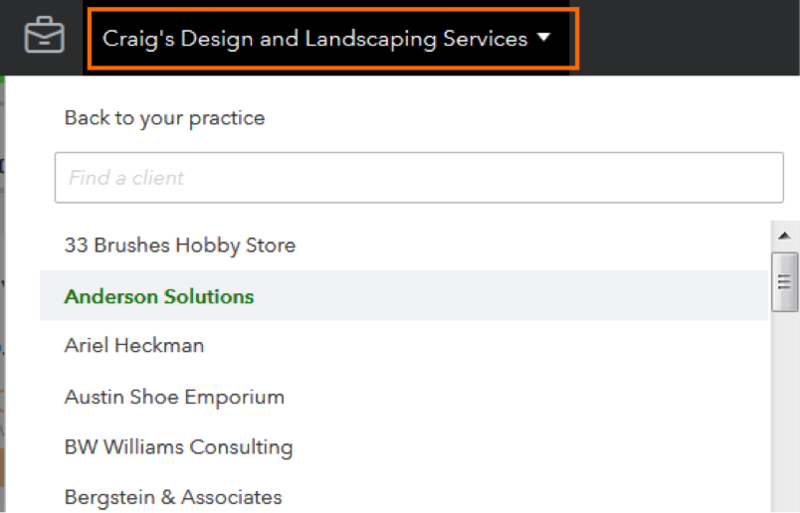 Gear icon: By clicking on the gear icon in the upper right corner, you’ll be able to access your clients’ Account and Settings, Lists, Tools, and more. Note: When a small gear icon appears in the upper corner of a list, table, transaction or report, you’ll find options there to configure the settings. 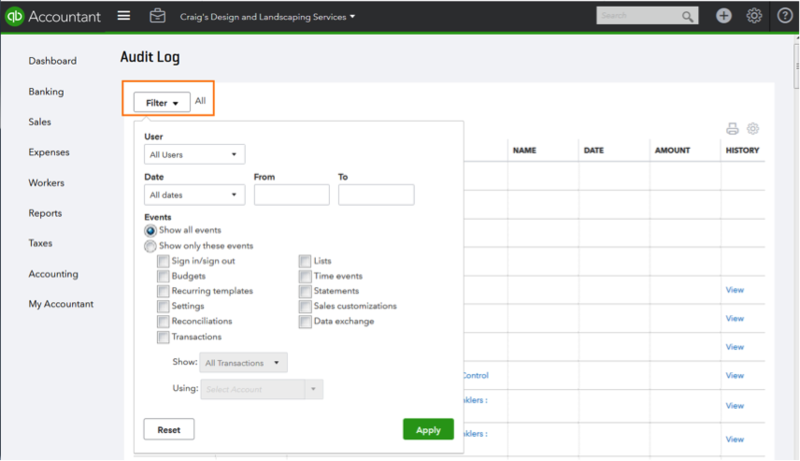 Create (+) icon: All the types of transactions and activities you and your client can create in QuickBooks Online are in one menu. Just click the Create (+) icon next to the search bar to select what you’d like to add. Search bar: The search bar allows you to quickly find a transaction. Accountants can also use it to quickly open a report or bank account register. Just start typing the name of the report or account. Clicking the search box once will also show a list of recent transactions added to the books. Note: Use Advanced Search in the bottom right to fine-tune your search. 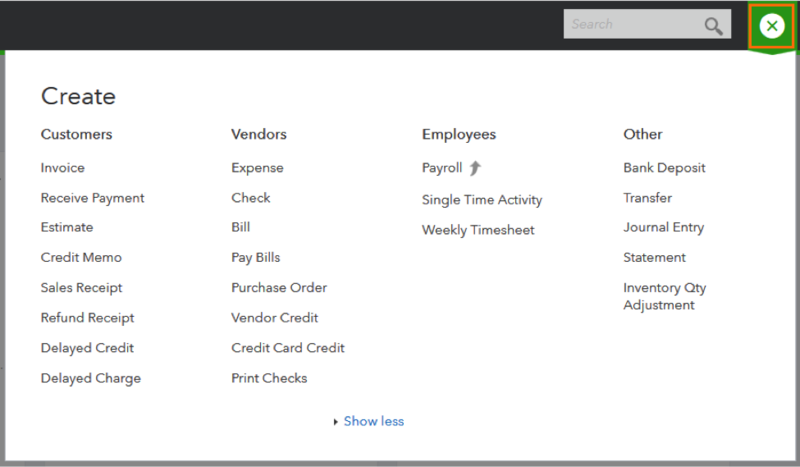 Accountant toolbox: This menu will only appear if you are signed in as an accountant user. Here, you’ll find tools that are exclusive to accountants, as well as shortcuts to the tools and transactions we think you’ll use most. 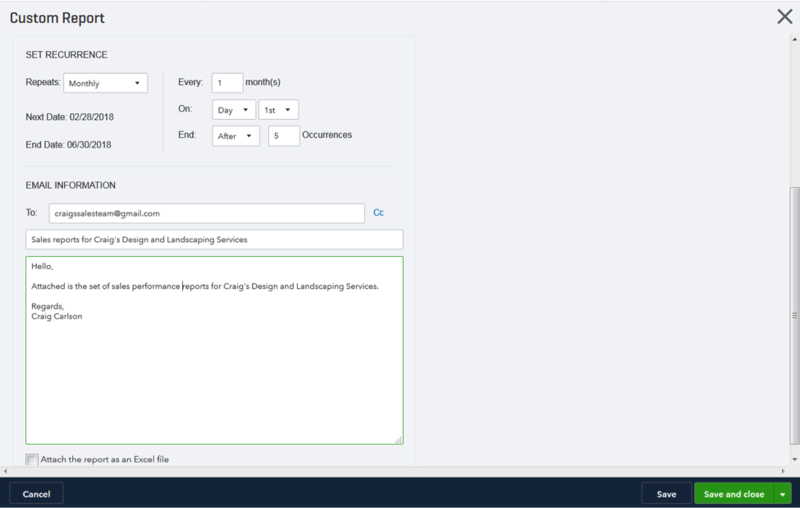 Client drop-down: As an accountant, you can toggle back and forth between clients or jump into your own practice by clicking on the client drop-down list. If you have a long list of clients, quickly jump to the one you’re looking for by typing the company name in the Find a client field. Under the Gear Menu, you’ll find the Account and Settings. This is where you and your clients can configure their QuickBooks Online to best fit the needs of their company. 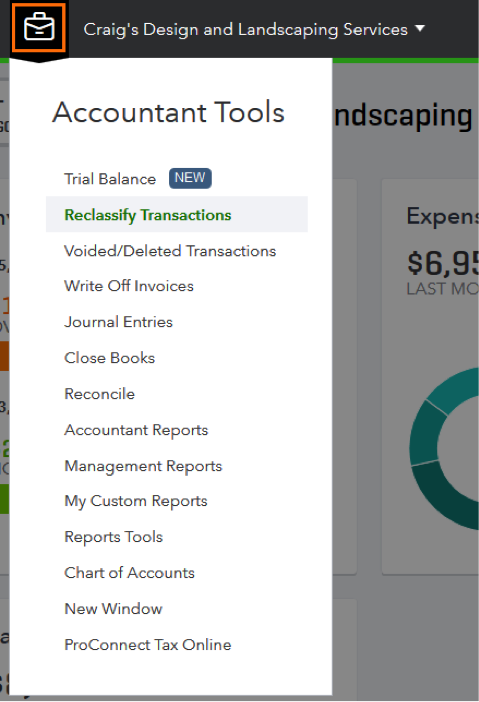 Once inside the Account and Settings section, I recommend all accountant users get familiar with the Advanced tab. Here, you’ll find options such as Close the Books (where you can set a closing date and password) and Enable Account Numbers. Note: The Billing & Subscription tab will only appear if your client is paying for their subscription. If you are using Wholesale Billing, you’ll manage the client’s billing and subscription through QuickBooks Online Accountant. A great Chart of Accounts is key to solid reporting. 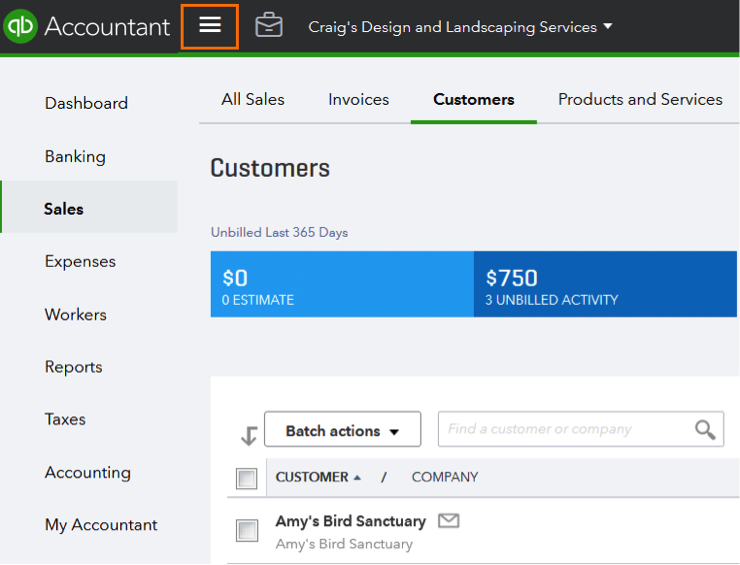 You can access yours from the gear-icon menu, the Accounting tab on the left panel or your Accountant toolbox. You can set up the Chart of Accounts manually or by importing an existing list from Excel. If you’ve converted a client’s QuickBooks Desktop file, the Chart of Accounts converts as well. Click the pencil icon in the upper right to assign or edit account numbers/names in batch instead of editing each one individually. The drop down menus under the Action column on the far right give the option to edit accounts individually, delete accounts or mark them inactive. If you haven’t yet, work with your client to connect to their financial institutions, which will help you both save time and reduce data entry. You can do this in the Banking tab in the left nav. 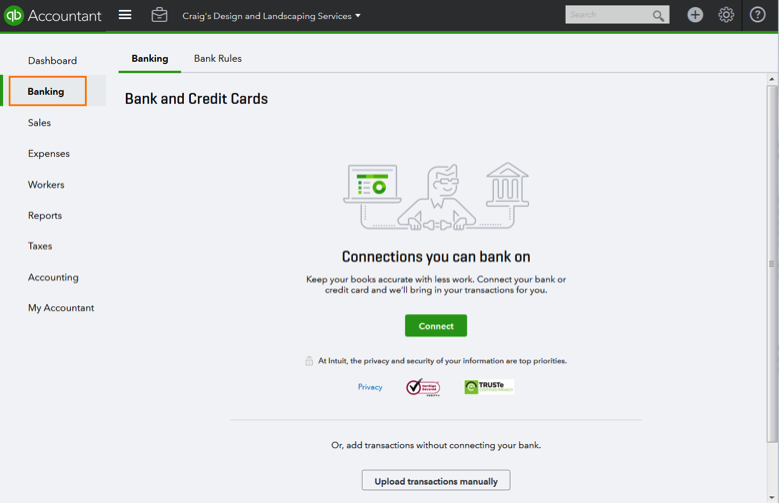 Once accounts are connected, you can review, categorize and accept transactions from the bank into QuickBooks. QuickBooks Online has built-in auto-categorization that learns from you over time. You also have the option to match to existing transactions recorded in the register. 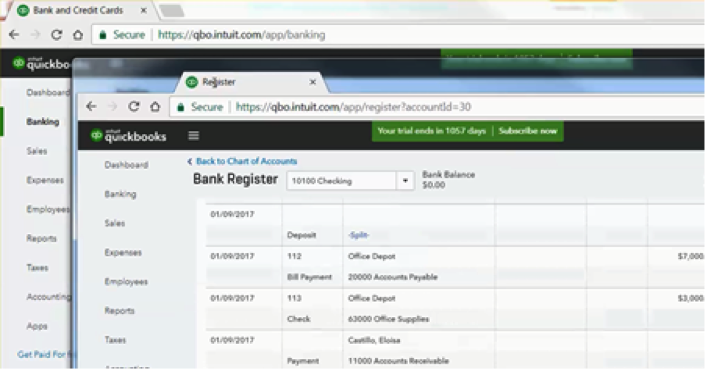 Toggle over to the Bank Rules tab along the top to refine how QuickBooks Online categorizes transactions. This is especially helpful for clients who are unsure how to categorize transactions themselves or have a high volume of similar transactions. Note: Check out my recent series on bank feeds. 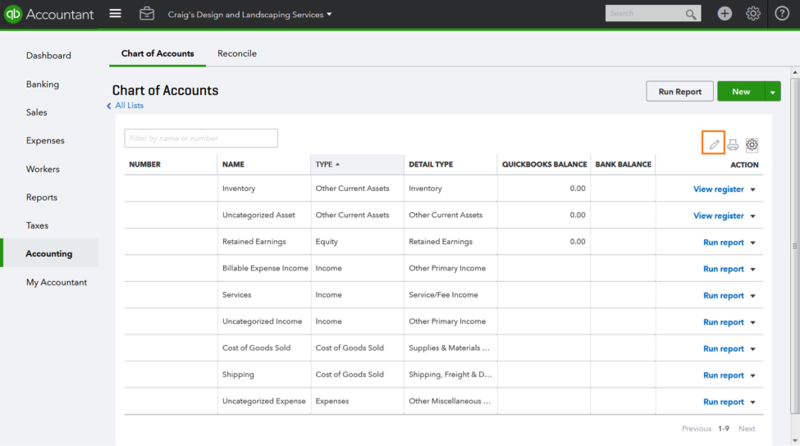 If your client is using QuickBooks Online Essentials or Plus, you’ll have an option to make many types of transactions recurring. You can set these up under the gear-icon menu. Automating transactions helps save time and improve accuracy, especially when used with the bank feed. You can schedule transactions to occur automatically, set up reminders and create unscheduled templates. 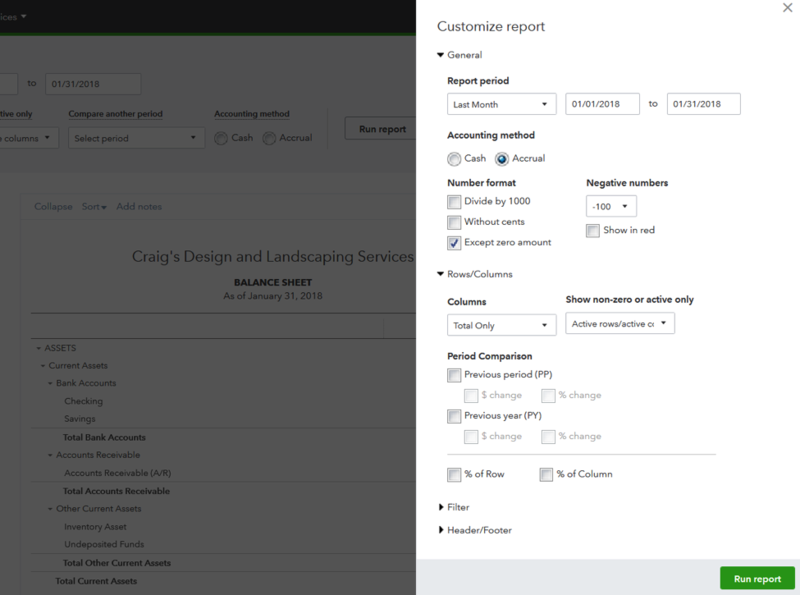 We surface several frequently used options along the top of each report to make it easier to customize quickly, such as choosing your report period or switching between cash/accrual basis. Always click Run report to reflect your changes. Click Customize in the upper right to see the full options for the report. The customization options will vary based on the report you run. 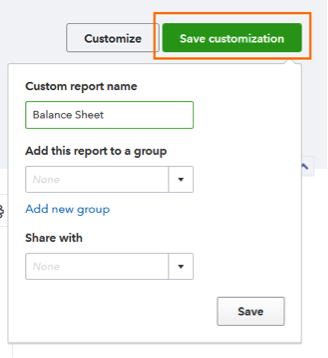 Once your preferences are set, click Save customizations to add the report to your My Custom Reports list. When saving, you’ll have options to give your custom report a name, add it to a group if desired and choose to share will all users or only your firm. In the My Custom Reports list, you can run your reports, export to PDF, change your sharing settings and view reports others have shared with you. In addition, you can schedule a single report or group of reports to email automatically on a recurring schedule. Using browser tabs, you can open multiple windows in QuickBooks Online at the same time. This makes it easy to compare, cross-reference or multi-task, without closing the page you are working on. 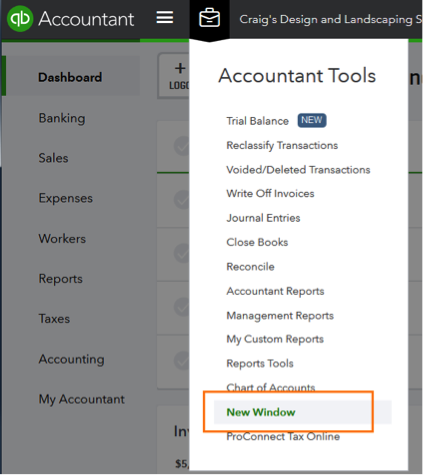 Accountants also have a shortcut under the accountant toolbox called New Window which will duplicate your current page in another tab. 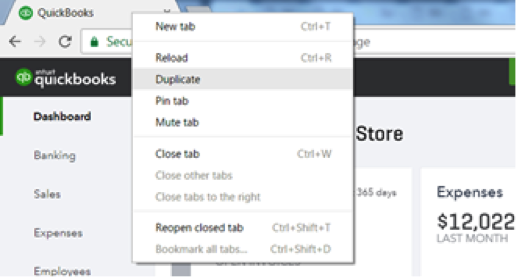 In most browsers, you can also right-click a tab and left-click Duplicate. You can open as many tabs as needed and drag and drop them across multiple monitors. Under the gear-icon menu, you’ll find the Audit Log. 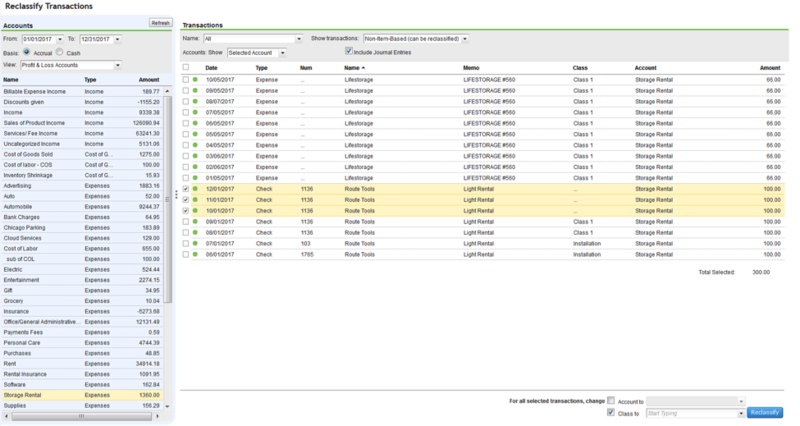 This log tracks additions and changes made to the company data and other activities. It also keeps track of who logs in to the company. The audit log cannot be disabled nor actions deleted. You can filter by user, date and activity, and easily compare changes over time. Note: When your client views the audit log, we don’t show any user details – only the name of your firm. As mentioned, , accountants have a place to find tools that are exclusive to accountants , as well as shortcuts to the tools and transactions we think you’ll use most. Trial Balance enables you to review and adjust the books in preparation for a tax return, without having to bounce between multiple applications. 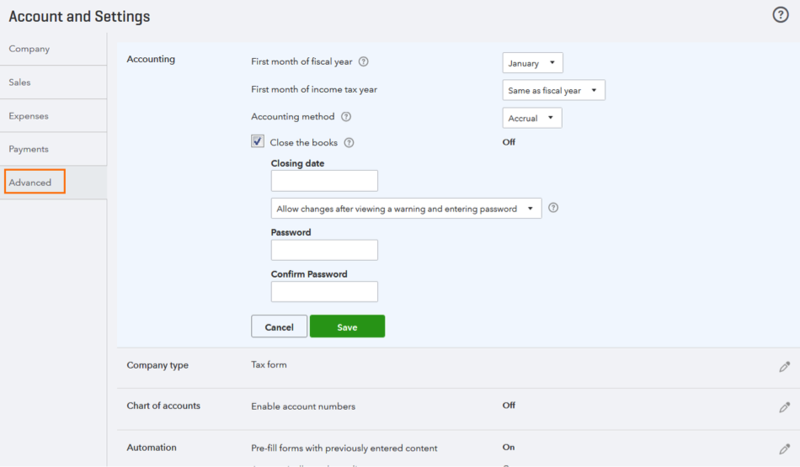 You can also map accounts and create, view and file a tax return in Intuit® ProConnect™ Tax Online. Reclassify Transactions can be used to make batch changes to the class and/or account on many types of transactions. Reports Tools allows you to set a default date range and basis for various financial reports and other accountant tools. Accountants also have the option to mark a journal entry as adjusting and undo a reconciliation. 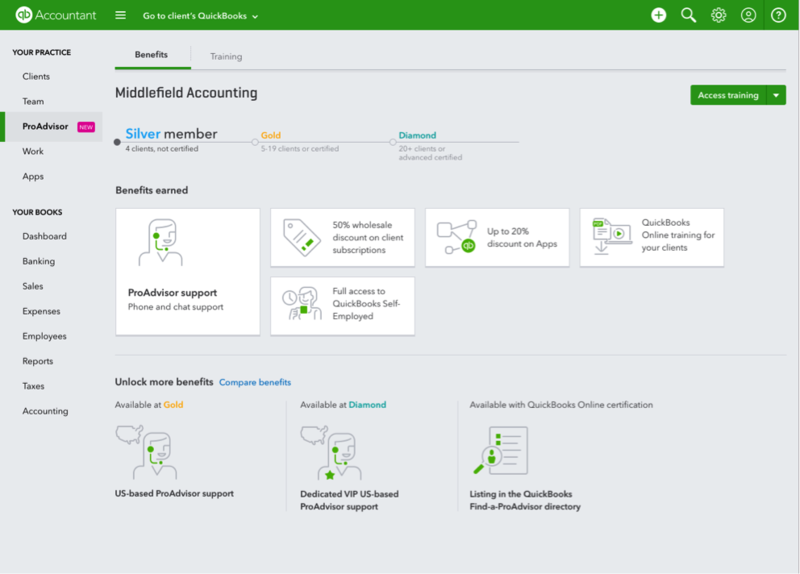 There’s no better way to continue your QuickBooks Online education than by taking advantage of our free ProAdvisor® Program inside QuickBooks Online Accountant. Take the QuickBooks Online Certification courses under the Training tab to expand your expertise (and earn CPE!). When you pass the certification exam, you’ll have unlimited U.S.-based ProAdvisor phone support and the option to list your profile on the Find-A-ProAdvisor online directory, making it easy for new clients to find you.